When building or replacing an asphalt shingle roof, you'll want to make sure you have the right roofing materials to get the job done. 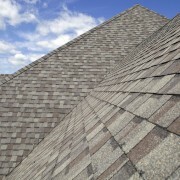 Asphalt roofing shingles are by far the most common roofing shingle on the market. They're used on homes across Canada due to their low cost, easy installation and many customization options. You can buy your asphalt shingles in virtually any colour, and some are even designed to mimic slate or wood shingles, allowing you to design your home any way you like. If you're looking to save on energy bills, you can also buy "cool" asphalt roof shingles that contain reflective granules. These granules help reduce heat absorption and keep your home cool. 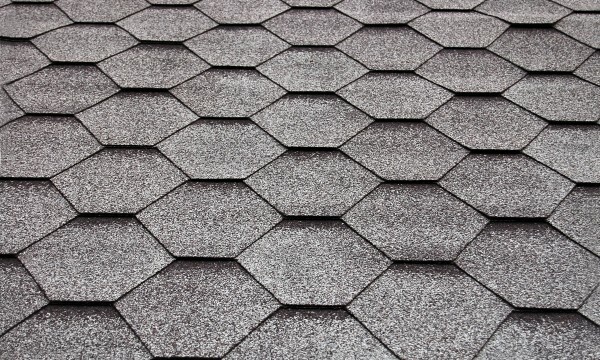 Generally, most manufacturer's warranties cover asphalt shingles for 15 to 30 years, which, for the low cost, makes them one of the best shingle values on the market. When applying asphalt shingles, you'll want to lay a base first. 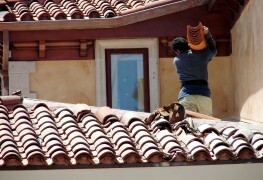 People usually lay down tar paper before installing shingles on top. You can choose between 15- or 30-lb. tar papers. The 30-lb. tar paper is both thicker and offers more protection from moisture and heat loss, but it also costs more. For flatter roofs, you might have to lay down two layers of tar paper regardless of whether you choose 15- or 30-lb. weights. 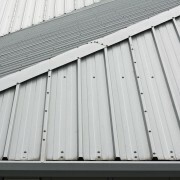 For any asphalt shingle roof, you'll need to use metal flashing around key parts of your roof to protect from moisture buildup. This moisture can seep under your shingles, causing mould and even structural damage to your house. 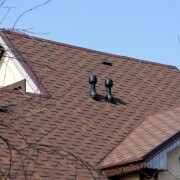 Metal flashing strips are placed around the exteriors of chimneys, skylights, vents and dormers. 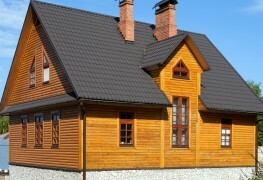 Once your shingles are installed, you can opt to put a layer of roof coating on top. 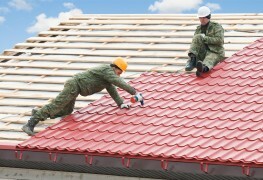 There are numerous types of roof coatings, but most are essentially painted onto the roof. Roof coatings help form a protective membrane that can not only protect your roof from weather conditions, but some "cool" roof coatings also have reflective properties that help keep your house cool during hot summer months. Ultimately, a good roof coating will stop UV rays, help keep out moisture and save you money on energy bills. These four materials are the basic roof materials you'll need. Of course, you will have to buy additional products such as safety gear, a nail gun, roofing tools and ventilation if you're going to install a roof yourself. Speaking with a roofing contractor or an expert at your local hardware store is the best way to get started on purchasing the right roofing materials.